The laugh-a-minute battle of wits and wittiness. 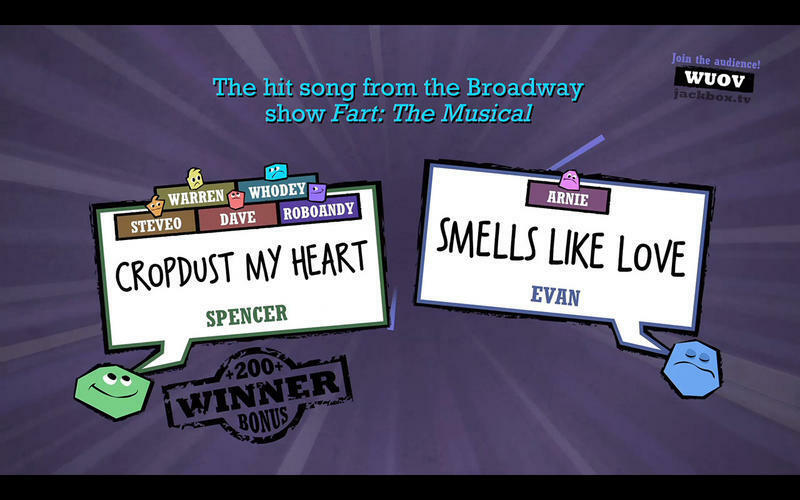 Is there a better alternative to Quiplash? Is Quiplash really the best app in Puzzle category? Will Quiplash work good on macOS 10.13.4? 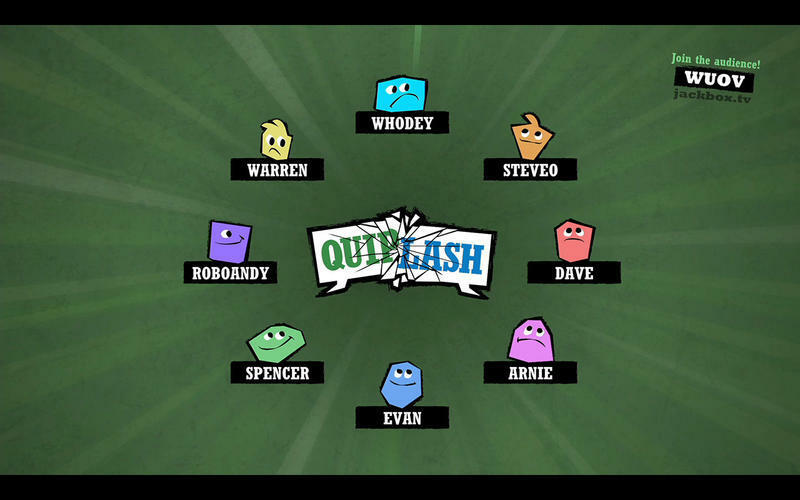 The team behind the hit party games YOU DON’T KNOW JACK, Fibbage, and Drawful presents Quiplash, the laugh-a-minute battle of wits and wittiness! Use your phone or tablet to answer simple prompts like "Something you’d be surprised to see a donkey do" or "The worst soup flavor: Cream of _____." 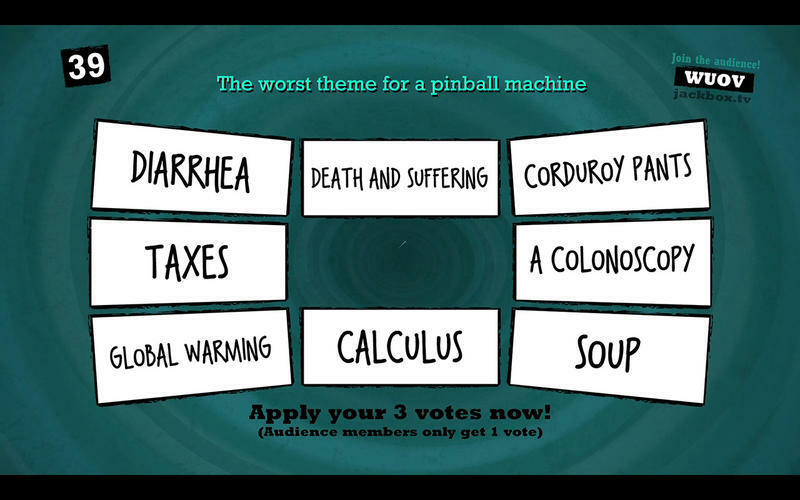 Quiplash needs a review. Be the first to review this app and get the discussion started! 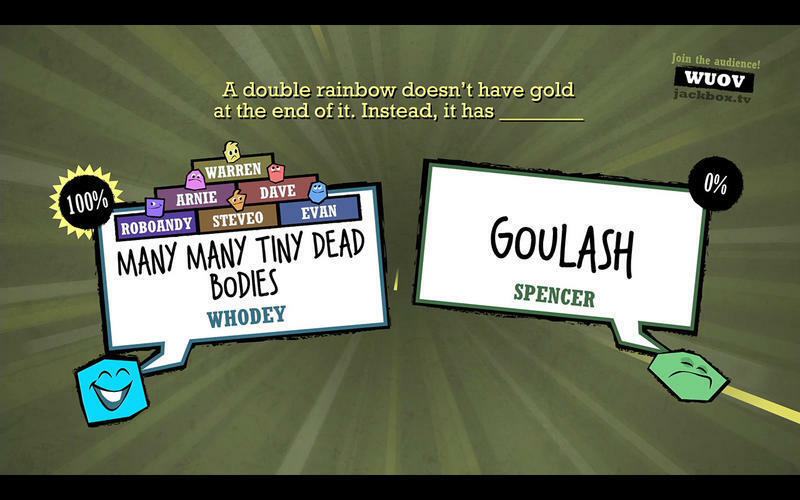 Quiplash needs a rating. Be the first to rate this app and get the discussion started! Your answer is pitted against another player’s answer in a head-to-head clash of cleverness and comedy (or just "Which answer is least stupid?"). 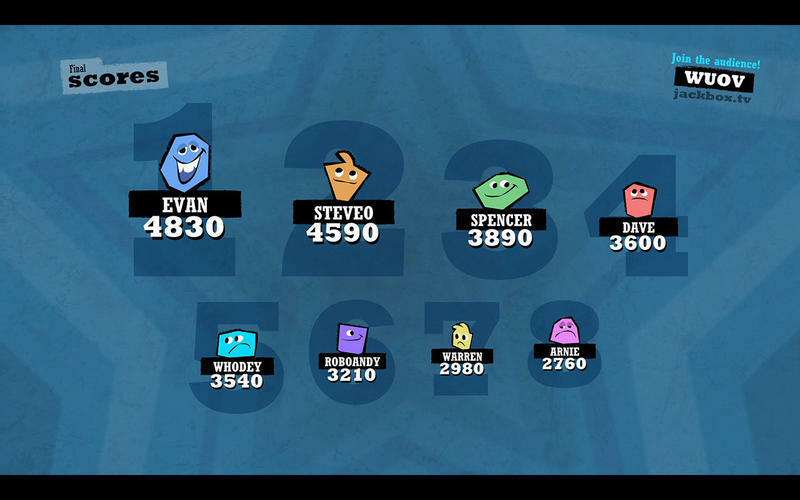 Other players - and even an Audience of people waiting to get in the next game - then vote for their favorite answer. Note: This game is a same-room multiplayer party game. This game is in English only.